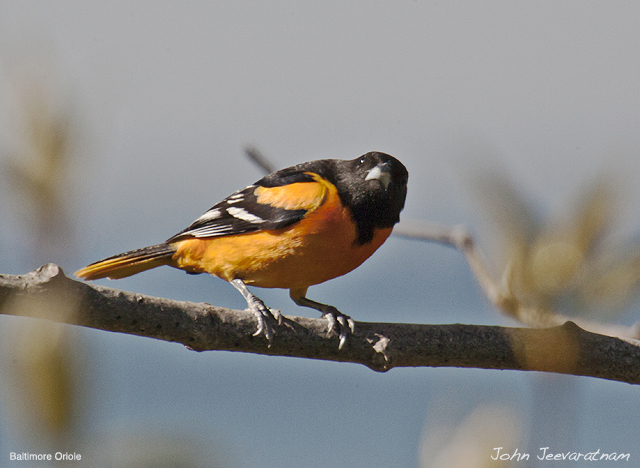 As beautiful and valuable as the Baltimore Oriole is—especially to Marylanders—God has made us children of Adam, even in our fallen (and redeemable) condition, “much better than they”. God truly cares for us and for our needs, including our need for truth and our need to belong to Him, through the saving merits of our Redeemer, the Lord Jesus. 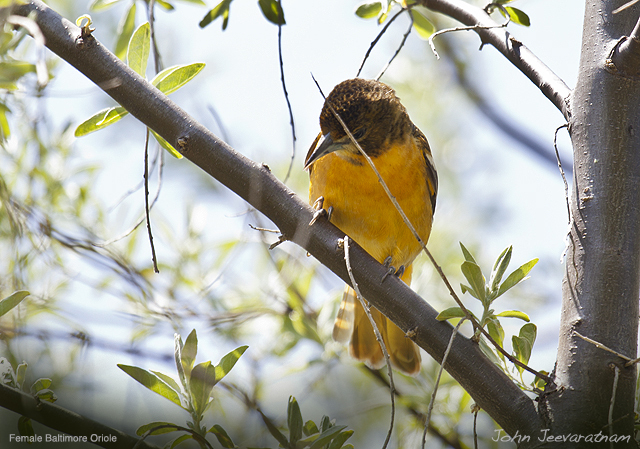 The Baltimore Oriole (Icterus galbula), a small migratory icterid (i.e., member of the blackbird family) is the state bird of Maryland. Adults grow to about 7 or 8 inches long. Migrating south for the winter, the Baltimore Orioles summer in most of America’s “lower 48” states, except not in the coastal southeast (from Texas’s Gulf coast up to Virginia’s coast). But the only orioles I saw were the pictures on baseball caps (and usually that came from looking at baseball cards)! 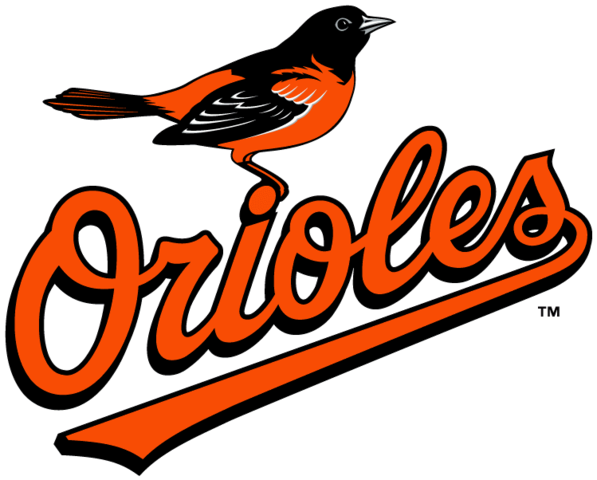 As a small boy my family often listened to radio broadcasts of Baltimore Oriole baseball games. Even the coloring of the Baltimore Oriole is appropriate, to represent the state of Maryland, because the state flag of Maryland has a combination of gold (or golden yellow), black, white, and red. 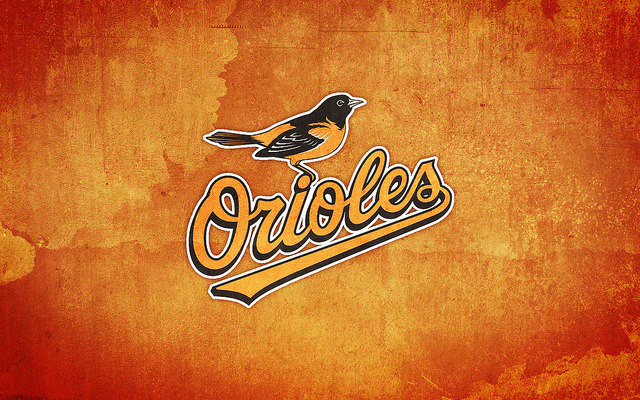 The Baltimore Oriole has three of those four colors—but no red. 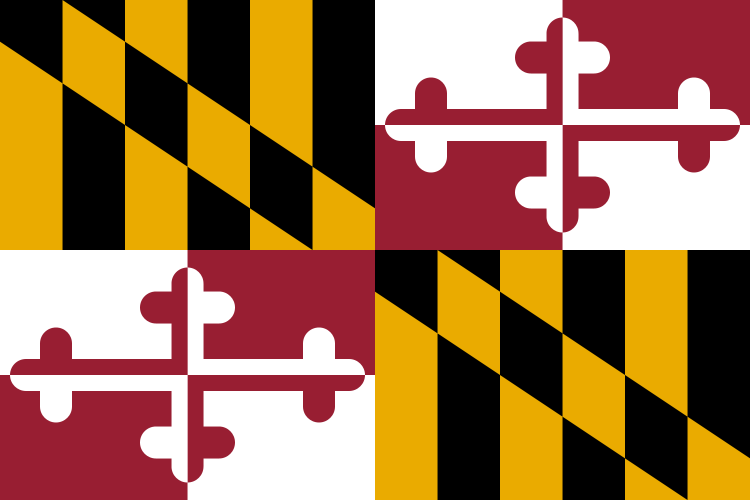 Although I was physically born outside of Maryland (at a very young age! ), all of my boyhood and youth (20 years) were spent somewhere within the “Old Line State”. And, as described below, it was in Maryland where I received my first bird book, as well as where I first believed in the Creator of all birds: the Lord Jesus Christ, Who is both my Creator and my Savior. In the next few paragraphs I will briefly mention my introduction to the “creation controversy”, and how that topic was linked to my first bird book. Creation can be controversial! Learning to appreciate Genesis, and its foundational truths, has been an ongoing adventure for me. As a pre-school child I was generally taught, by my parents, that the Holy Bible was God’s Word, and that God made everything, including me. Not until kindergarten, however, would I learn that some people disagreed about God being the Creator. There was no public kindergarten (in Waldorf, Maryland) when I was old enough to attend one, so my parents enrolled me in a private kindergarten taught by a Mrs. Wheeler, a local Baptist lady who taught in her home. 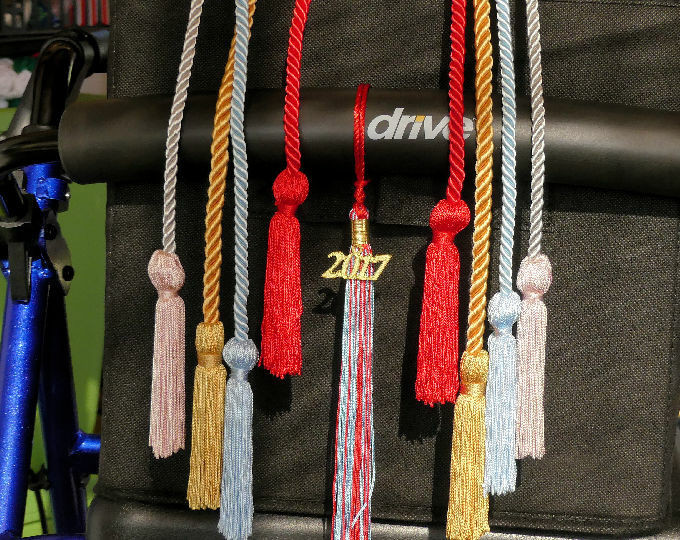 (Mrs. Wheeler’s faith was “different” from that of my parents, but “not in a bad way … you’ll do fine at her school”.) Mrs. Wheeler always prayed reverently and thankfully when we had snacks. Mrs. Wheeler also taught that the Bible was God’s Word. As a kindergartener I enjoyed learning to match words (specifically, nouns of concrete things) to alphabet letters, finding at least two words for each alphabet letter (when our class was assigned the task of finding one each! ), until the letter X stumped me—x-ray was the only words that I know of, that started with an X. 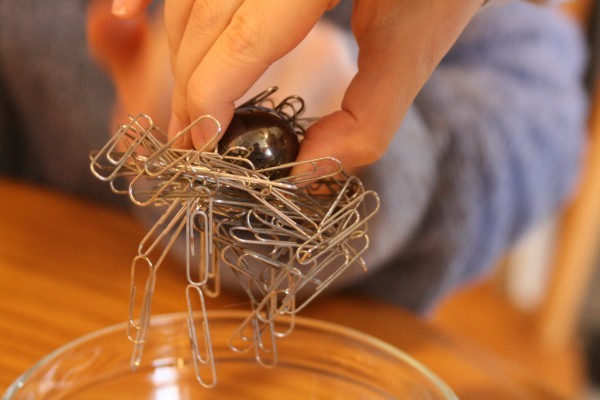 One day Mrs. Wheeler taught us to touch a magnet to various physical objects. Some were instantly attracted but others were not. Mrs. Wheeler’s college-attending daughter was there, that day, being home “on break”, so she was helping her mother with us kindergarteners. Probably not noticing that I was listening, the daughter asked (something like), “Why are you trying to teach them about magnets? Science like that is way over their heads. 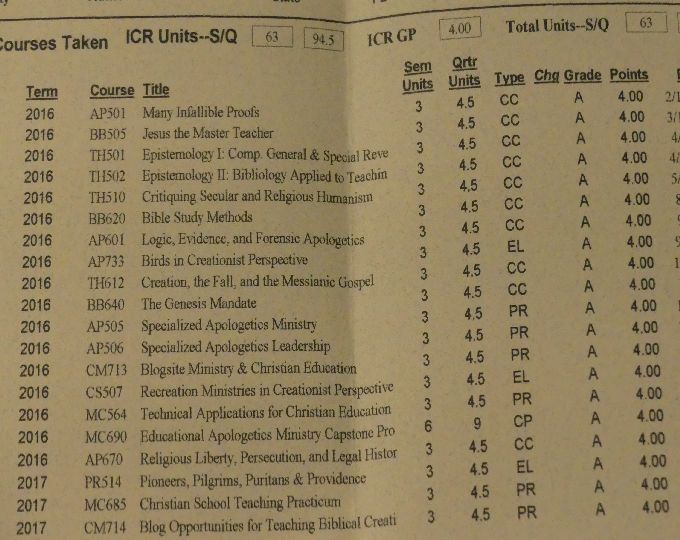 They won’t understand.” Mrs. Wheeler’s reply I will never forget: “Soon these kids will be taught that ‘science’, without God, explains life, and they will wonder if intelligent people should believe in God and the Bible. I want them to have a memory, from kindergarten, that the first person to teach them any ‘science’ was someone who believed in Jesus and the Bible, and who prayed with them.” Wow! That astounded me! 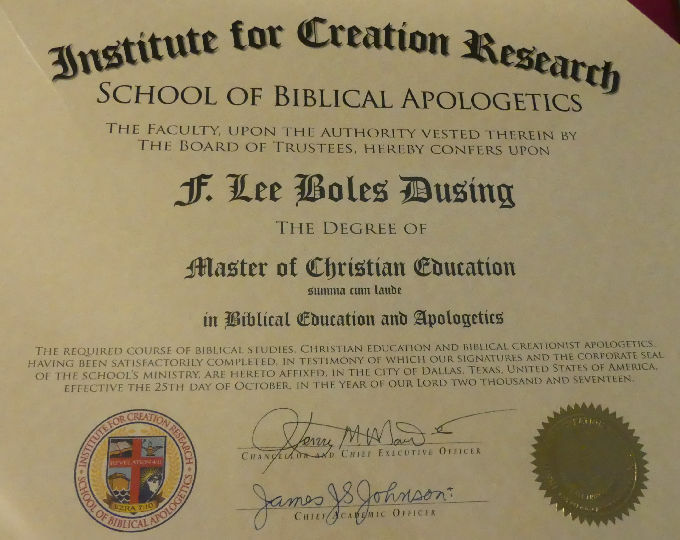 When I went to “big school”, like my older brother, I would be taught to learn “science” but no Bible!—nothing about God. Why would “big school” be like that? So Mrs. Wheeler, with her daughter’s help, had just warned me that a godless version of “science” awaited me. In second grade, at Damascus (Maryland), I would learn more about this controversy. 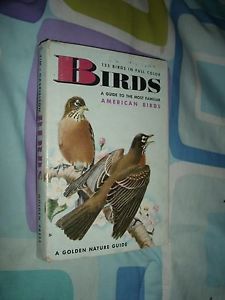 At the end of second grade, while being given my first bird book, I learned more Genesis apologetics, from Mrs. Thelma Bumgardner (see picture of the bird book, BIRDS, A GUIDE TO THE MOST FAMILIAR AMERICAN BIRDS [NY: Golden Press/Golden Nature Guide, 1964; co-authored by Herbert S. Zim & Ira N. Gabrielson; illustrated by James Gordon Irving; 160 pages]. The bird book I still have, to this day (shown above, next to her obituary notice). How did it happen? Why was it so important that I remember it now, more than a half-century later? It was Mrs. Bumgardner’s custom to give a bird book to one boy and to one girl, at the end of the school year. The privileged girl was Mary Kellogg; the privileged boy was me. When explaining the gift to me Mrs. Bumgardner said that the pictures would help me to learn about many beautiful birds that God made, and that He made them to live in different kinds of places and eat different kinds of foods. Then she turned to pages 12-13, which presented an official-looking Family Tree of Birds”, beginning with this sentence: “Birds developed from reptile ancestors millions of years ago, as internal structures and scaly legs still show.” Mrs. Bumgardner said that the chart was not true, that some people who didn’t like to admit that God made birds (like the Bible said He did) invented the chart to pretend that birds accidentally become what they are by something called “evolution”. 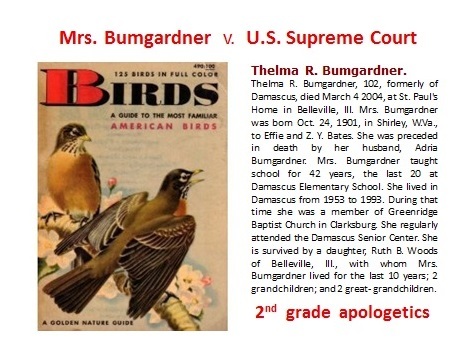 “It’s all just a lie, so they won’t have to think about Who God is”, Mrs. Bumgardner warned me, “but don’t worry about the false ideas on those two pages—just enjoy the rest of the book, because the rest of the book teaches a lot of true facts about God’s birds.” Wow! Again I was surprised—who would think that liars would put pictures in a book so they could try to forget Who God is? The bird book is a treasure I never forgot—and I love it to this day. 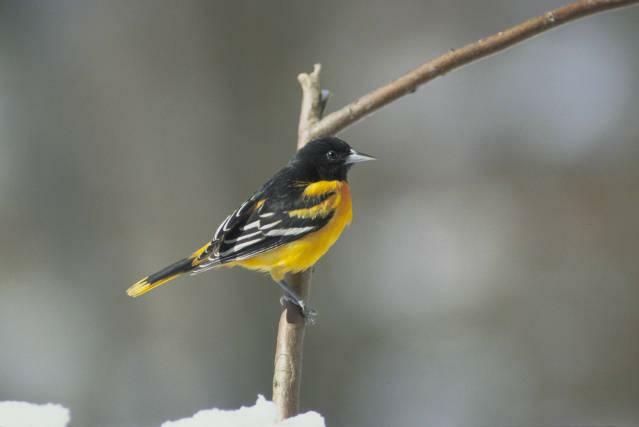 Speaking of orange, providing oranges (i.e., the citrus fruit), halved, is known to attract orioles—they love to eat fruits, such as oranges, berries, or even grape jelly. 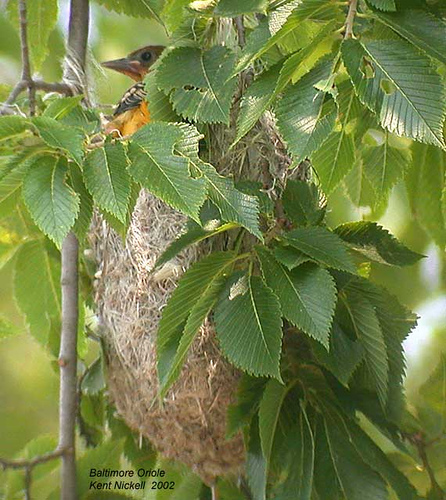 Leafy deciduous trees or thick shrub foliage might attract them to your backyard, especially if your backyard provides a “total package” of food, water, sheltering foliage, and trees suitable for their deep bag-like hanging nests. 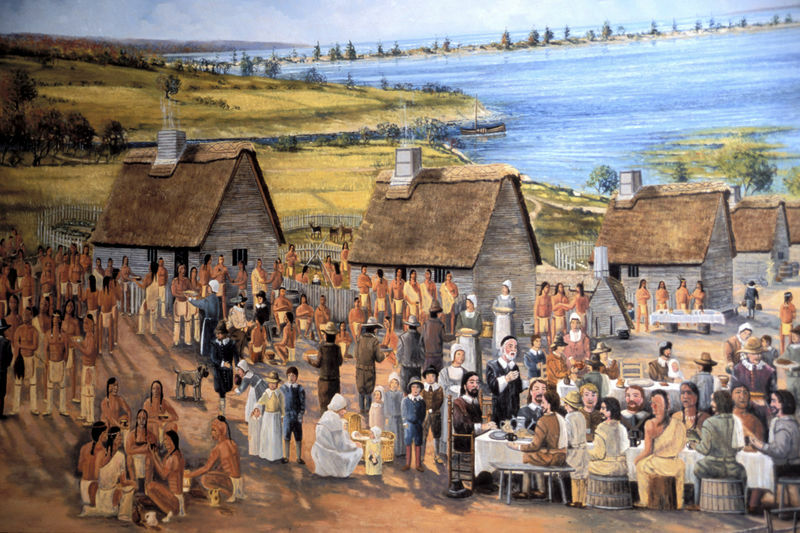 They immigrate north during in spring (late March or early April) and emigrate south in autumn. Mrs. Bumgardner also taught us about John 3:16, which I would rely upon in a very personal away 3½ years later; she also would pray for us, telling us that she knew that the Supreme Court wouldn’t like that, but that the prophet Daniel was told not to pray and he did anyway—and God took care of Daniel, so He would take care of her. Still I remember knowing that Mrs. Bumgardner loved us second-graders, and she cared that we would learn to appreciate God, and it was obvious that she herself loved God and His Word. It was during the first half of my sixth grade year, however, before I would confirm my own personal belief in the Lord Jesus, as my personal Savior and Shepherd, but God foreknew that day was coming—and one day I will thank both Mrs. Wheeler and Mrs. Bumgardner, face-to-face, for caring enough to creatively teach me the truth about my Creator-God. Meanwhile, ever since the end of second grade I have been enjoying my bird book (and many more that I have acquired since then), knowing how God cares about those beautiful birds—who have such variety. Yet He cares so much more for me (as John 3:16 proves). What a wonderful start I was given to a happy habit of birdwatching (decades before I would ever teach ornithology at Dallas Christian College), — and Mrs. Bumgardner’s bird book disclaimer, by God’s providence, foreshadowed my later years as a teacher of Genesis-based creation studies!